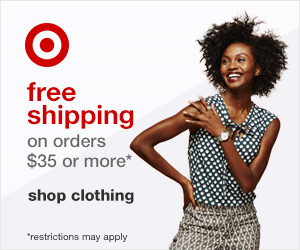 Enjoy free standard shipping over at Free People from 11/6 - 11/16. Love this off the shoulder top! Etsy's holiday gift guide is up and I'm just loving everything I see! I'm in need of new bras - especially cute ones that can peek through sheer tops. I love these options here. I love these Free People Sunglasses. They tortoise shell ones remind me of the ones I wore here. You know how much I've been loving velvet lately and these shoes are a great way to dip your feet into the trend. Self defense moves every women should know. Obsessed with this Proenza Schouler Mini Hex Bucket Bag in Red. Great ways to detox with water. Also, what happens to your body when you stop drinking alcohol. I've really been wanting to try this RoC Retinol Correction Night Cream. I heard it's a great drugstore find! Yes! Remember when I went to Smorgasburg? Its now moving indoors! Now we can enjoy it all winter long. The "New Yorker cliches" are real. Out of all the slides in this slideshow, this one and this one are what I would consider true. Am I the only one who gets excited over new emojis?